The survey, funded by a grant from NASA’s Space Telescope Science Institute (STScI), will be the largest ever solar system study conducted by Hubble. A total of 206 Hubble orbits have been assigned to the project, which will measure the colors and binary characteristics of more than 200 KBOs. 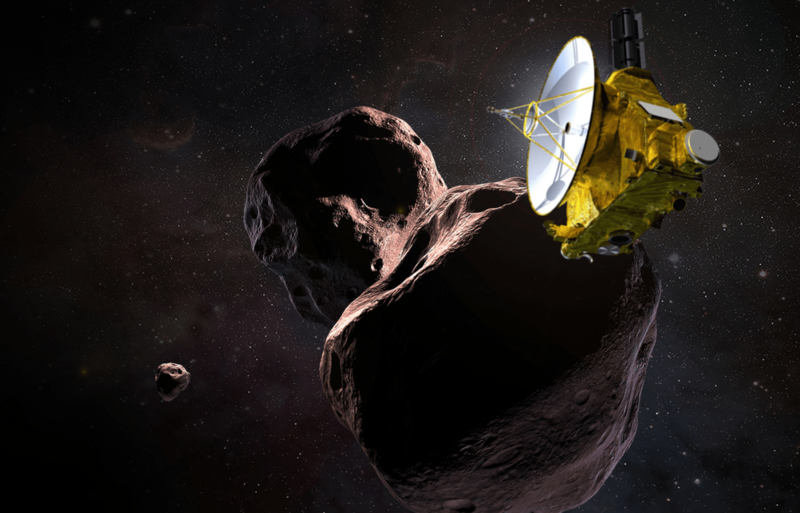 The survey will not search for a third flyby target for NASA’s New Horizons mission, according to mission Principal Investigator Alan Stern, also of SwRI. Images and updates on the survey will be posted regularly by the study team on the SSOLS website. Laurel Kornfeld is an amateur astronomer and freelance writer from Highland Park, NJ, who enjoys writing about astronomy and planetary science. She studied journalism at Douglass College, Rutgers University, and earned a Graduate Certificate of Science from Swinburne University’s Astronomy Online program. Tags: According to Sierra Nevada Corporation Dream Chaser is expected to make its first test flight in spring 2021 and conduct at least six orbital flights to and from the International Space Station, Critically it could also return cargo to an airport runway., It was the selection by NASA of a cargo variant of the design called the Dream Chaser Cargo System that ultimately breathed new life into the program in January 2016., Overall the design is planned to deliver up to 12100 pounds (5500 kilograms) of pressurized and unpressurized cargo., Sierra Nevada Corporation’s Dream Chaser, Spaceflight Insider, The spacecraft is being designed to be able to launch atop a United Launch Alliance Atlas V rocket or an Arianespace Ariane 5 rocket., The third commercial cargo freighter for the International Space Station, Ultimately it is hoped each space plane could be used 15 or more times with a future crewed variant to fly at least 25 times. Sierra Nevada Corporation’s Dream Chaser cargo space plane recently passed another milestone in its development to be the third commercial cargo freighter for the International Space Station. According to the Nevada-based company, Dream Chaser, which has been in development in one form or another for more than a decade, passed NASA’s Integrated Review Milestone 5 (IR5), which is essentially a status check on the performance of a number of ground and flight operations in advance of the spacecraft’s first resupply mission under the Commercial Resupply Services 2 (CRS-2) contract. Dream Chaser is a space plane based, in part, of the design of NASA’s HL-20 lifting body concept that was studied as a crew transport vehicle to Space Station Freedom, a 1980s space station design that evolved into the International Space Station. It was to be about 30 feet (9 meters) long and sport stubby wings. In Sierra Nevada Corporation’s version of the vehicle, it was initially envisioned to carry up to seven people to the ISS when it was competing under the NASA’s commercial crew development programs. However in 2014, the design was ultimately not chosen primarily because of “lack of maturity,” according to Aviation Week at the time. The space agency instead selected SpaceX’s Crew Dragon and Boeing’s CST-100 spacecraft, which are expected to make their first crewed flights as early as the second half of 2019. Sierra Nevada Corporation at the time was beginning drop tests of the spacecraft prototype. The first glide, which took place at Edwards Air Force Base in California, performed well, save for a stuck landing gear at the end of the flight, which caused the test article to flip over upon landing. The company said the test was a success despite the landing gear issue, which not the design that would be used for the space-rated version as it was taken from a military jet. Following the NASA non-selection, the company continued development, looking for supporters and organizations that might use the crewed version, including a European company and the United Nations. However, it was the selection by NASA of a cargo variant of the design, called the Dream Chaser Cargo System, that ultimately breathed new life into the program in January 2016. The cargo variant is essentially the lifting body spacecraft, with foldable wings to fit in a rocket with a 16.5-foot (5-meter) payload fairing, and a small disposable module at the back of the vehicle that could carry pressurized and unpressurized cargo. That cargo module would also hold solar arrays to increase flight time in space and support powered payloads, Sierra Nevada Corporation said. Overall, the design is planned to deliver up to 12,100 pounds (5,500 kilograms) of pressurized and unpressurized cargo. Critically, it could also return cargo to an airport runway. The cargo module would be disposed with any unneeded equipment before re-entry. The spacecraft is being designed to be able to launch atop a United Launch Alliance Atlas V rocket or an Arianespace Ariane 5 rocket. However, it is likely that ULA’s Vulcan rocket, which is being designed to replace the Atlas V, would be able to support Dream Chaser flights as well. Ultimately, it is hoped each space plane could be used 15 or more times, with a future crewed variant to fly at least 25 times. For IR5, the company said NASA’s review included the development of the spacecraft’s flight computers and software, its mission simulator and mission control center, and demonstrations using high-fidelity mockups of the vehicle and unpressurized cargo module. The review took place at Sierra Nevada Corporation’s Louisville, Colorado-facility and at NASA’s Kennedy Space Center. Data was also used from the 2017 free-flight test, also at Edwards Air Force Base. The landing gear worked as designed for that landing. 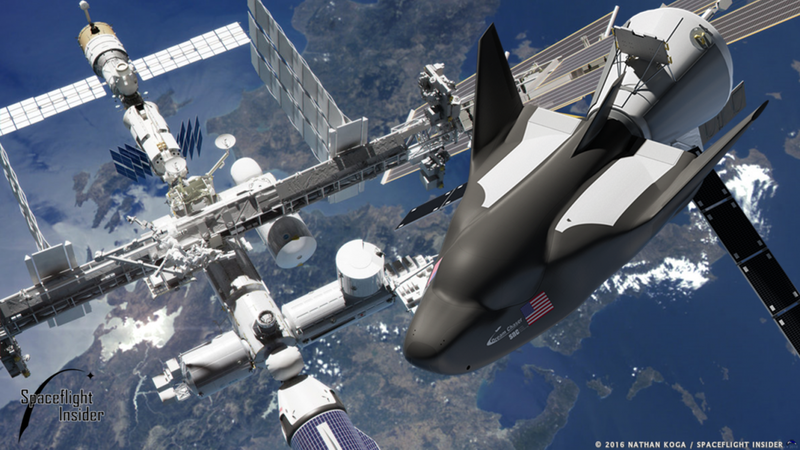 According to Sierra Nevada Corporation, Dream Chaser is expected to make its first test flight in spring 2021 and conduct at least six orbital flights to and from the International Space Station to deliver and return supplies and experiments. Under the CRS-2 contract, SpaceX’s Dragon capsule, Northrop Grumman’s Cygnus spacecraft and Dream Chaser are expected to fly a minimum of six launches each with a maximum potential value overall being $14 billion. CRS-2 is a followup to the CRS-1 contract, which had its first operational flight by SpaceX in October 2012. The first operational flight using Cygnus was in January 2014. The first CRS-2 flights by Northrop Grumman and SpaceX are expected in 2019 and 2020 respectively. The contract is expected to run through at least 2024. 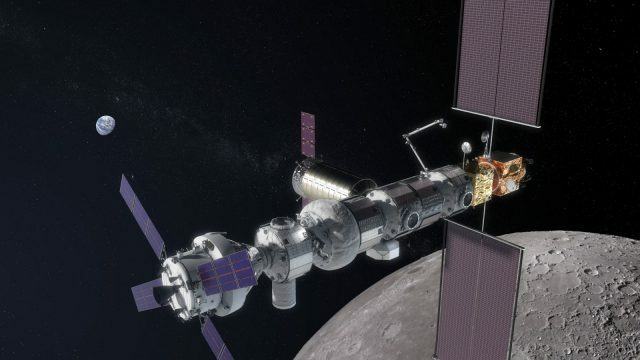 Having been involved with the United States in its space endeavors for decades with the Space Shuttle and International Space Station programs, Canada has committed to continuing that partnership and join the NASA-led Lunar Gateway project. Part of NASA’s efforts to return humans to the Moon include building an outpost circling in a near-rectilinear halo orbit around the Moon. This “space station” would be much smaller than the International Space Station and support crews for up to several months at a time. Eventually, it would be used as a base camp to send astronauts to the lunar surface. NASA is going back to the Moon to stay. It’s part of a bold directive from the President for the U.S. to lead a worldwide endeavor to open a new era of space exploration in a measured, sustainable way. This work is going to take collaboration with international partners, industry, and other stakeholders, and I’m delighted by Canada’s commitment today to join us in our work to go forward to the Moon and Mars. Canada’s friendship throughout the Space Age, and our longstanding partnership aboard the International Space Station have brought our two nations many benefits. From astronauts like David Saint-Jacques, currently aboard the station, to the invaluable Canadarm-2 that helps us perform many tasks on the station, everything from critical repairs to the Hubble Space Telescope to the construction of the International Space Station. Canada’s technical expertise and human resources have been an incredible component of our achievements on orbit and across the spectrum of our work. It was my great pleasure to visit Canada recently and see this innovation firsthand. 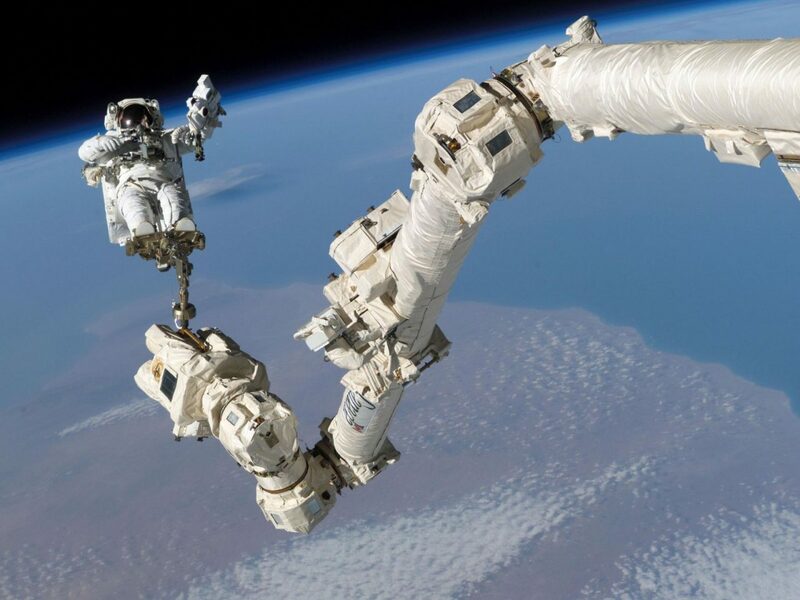 For its part, the Canadian Space Agency and the Canadian government has committed over $2 billion over 24 years to develop and operate a next-generation robotic arm called Canadarm3 to service the Gateway. Possibly the most visible part of Canada’s space partnership with the United States is its robotics contributions. The original Canadarm design flew on all of NASA’s Space Shuttles. In nearly every iconic photo from that era, the arm with the Canadian flag is present, including in the deployment of iconic spacecraft such as the Hubble Space Telescope. 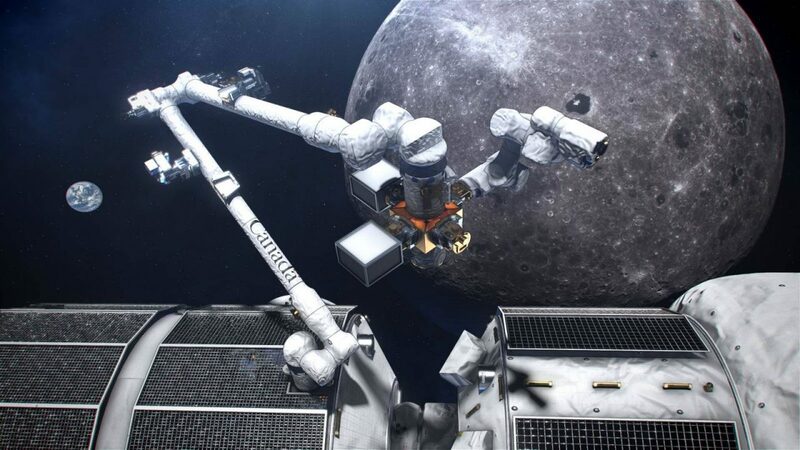 Today, in addition to their incredible 24-year commitment, Canada is going to build a next generation Canadarm for the Gateway lunar outpost and support our work with industry to return to the surface of the moon, among other efforts. Canada’s technologic achievement as part of Gateway lunar outpost will be a part of creating the vital backbone for commercial and other international partnerships to get to the Moon and eventually to Mars. We are thrilled to work with Canada on the next generation of its robotics to help carry out incredible missions at the Gateway lunar outpost and to collaborate in our future on the lunar surface and deep space. I thank Prime Minister Trudeau for his vote of confidence in the Canadian Space Agency and the many innovations that its president Sylvain Laporte and the Ministry of Innovation, Science, and Economic Development are pursuing for the Canadian people and the world. Our work in space improves life for people everywhere on this planet. We look forward to our deepening partnership with Canada, and the support of the many other nations I am confident will join us and help strengthen our progress on the challenging goals we’ve set in space. 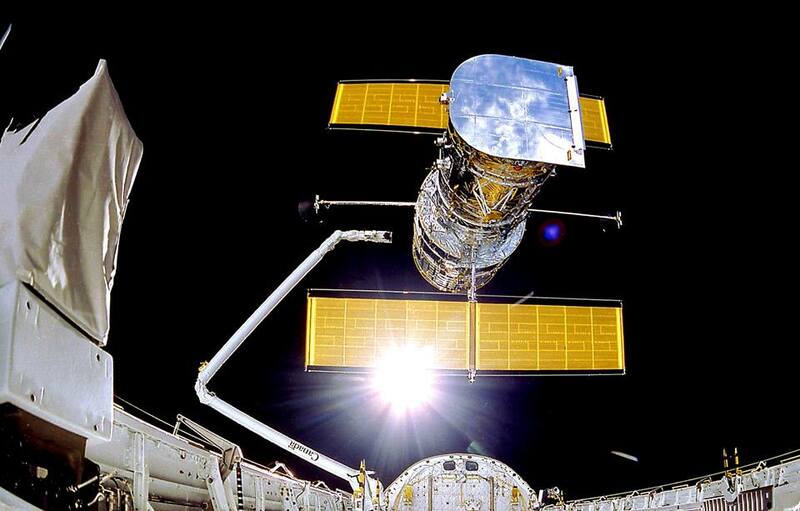 Additionally, Canadarm was used in the initial phase of construction for the International Space Station. The task of moving massive modules around in space, however, would be moved to a newer, more capable manipulator system called Canadarm2. Canadarm2 was launched aboard Space Shuttle Endeavour’s STS-100 mission in 2001. It would later be joined by the Special Purpose Dexterous Manipulator, called Dextre, as a sort of “robotic hand” to go with Canadarm2. 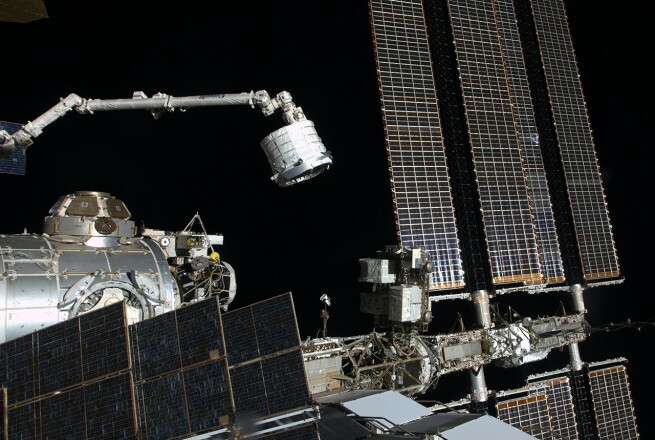 Over the years, Canadarm2 and Dextre have serviced the International Space Station by assisting astronauts during spacewalks, moved modules, captured visiting vehicles and berthed them, deployed CubeSats, performed experiments and more. 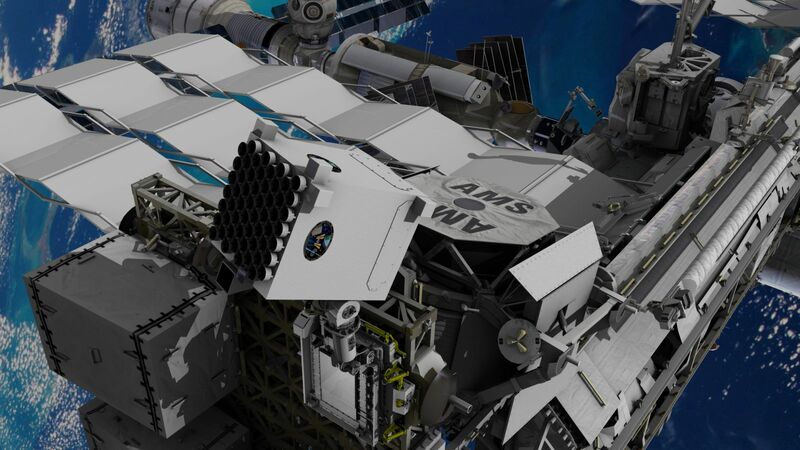 The proposed Canadarm3 would take these capabilities to the next level by integrating autonomy and artificial intelligence into the design. Unlike the International Space Station, the Lunar Gateway is not planned to be permanently crewed. It will host astronauts for up to several months at a time as they conduct their mission, be it orbital (as is planned initially) or as a staging point for surface sorties using reusable commercial landing systems. As such, Canadarm3 would need to be able to execute tasks with minimal human input in an environment much tougher than low-Earth orbit. Partnering with NASA as it moves beyond low-Earth orbit would enable Canada to continue its space endeavors. According to a press release issued by the Canadian Space Agency, the country’s space sector employs 10,000 highly-skilled workers and generated $2.3 billion for its economy in 2017, exporting over $2.1 billion in sales. Canada has also committed to continuing its participation with the United States on the International Space Station program and is expected to remain a vital partner for the foreseeable future. The first modules for the ISS were launched in 1998 and astronauts have been living aboard the low-Earth orbit outpost since 2000. During that time, three Canadian astronauts have lived aboard it in long-duration missions. 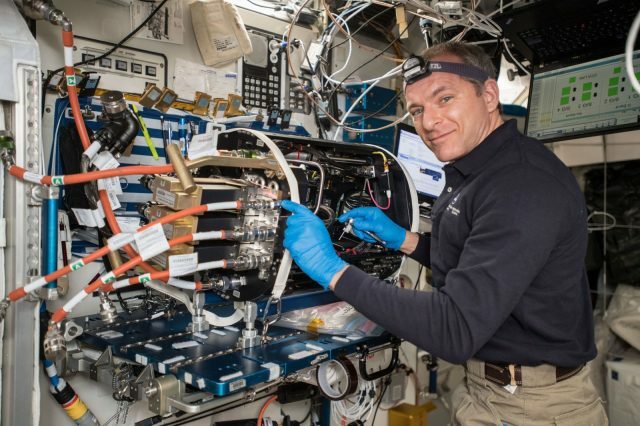 The most recent, David Saint-Jacques, has been at the station since December 2018 and is expected to return to Earth in June 2019. Between the ISS and Space Shuttle programs, eight Canadians have flown in space 17 times. Three of those missions were long-duration flights aboard ISS (including Saint-Jacques ongoing Expedition 58/59 mission). Currently, the U.S. government is slated to end its funding commitment to the ISS in 2024, however, there are efforts by the U.S. Congress to extend that commitment to 2028 or even 2030 in order to give commercial industry more time to build a sustained presence in low-Earth orbit either by taking over parts of the now-20-year-old outpost or launching smaller, more purpose-driven orbital platforms. With 2018 in the history books and 2019 beginning, the new year could see NASA edge closer to regaining what it lost nearly eight years ago — the ability to launch its own astronauts (with the help of private companies) from U.S. soil. NASA’s Commercial Crew Program was envisioned as a means to fly NASA astronauts to the International Space Station from U.S. soil. The companies that have been contracted to do so are Boeing and SpaceX. The former is developing the CST-100 Starliner capsule under this agreement, while SpaceX is producing its Crew Dragon spacecraft. On Dec. 11, 2018, the final piece of hardware for the United Launch Alliance Atlas V rocket tapped for Boeing’s uncrewed Orbital Flight Test (OFT) arrived at Cape Canaveral in Florida. The critical components for this flight are expected to be moved to the Vertical Integration Facility where they are set to be assembled and moved to the launch platform for a planned March flight from Cape Canaveral Air Force Station’s Space Launch Complex 41. Boeing has also been busy a few miles down the road at the Commercial Crew and Cargo Processing Facility where production is wrapping for three Starliner capsules. Two of these spacecraft are designed to be flown up to 10 times. The other will be used for a pad abort test, currently scheduled sometime between OFT, and the crewed flight test planned for August 2019. The Starliner capsule that will be used for the first crewed flight test is currently undergoing pressurized testing at Boeing’s Space System and Satellite facility in El Segundo, California. Starliner launches are slated to occur atop an Atlas V in a “N22” configuration. The “N22” means the rocket will feature no payload fairing, two solid rocket boosters and a dual-engine Centaur upper stage, which will finish Starliner’s trek into orbit. The three astronauts tapped to fly on the August 2019 flight are Boeing astronaut Chris Ferguson and NASA astronauts Eric Boe and Nicole Mann. Both Ferguson and Boe flew on NASA Space Shuttles with Ferguson commanding the final Space Shuttle mission, STS-135. Meanwhile, at Launch Complex 39A at NASA’s Kennedy Space Center, SpaceX’s Crew Dragon capsule is being prepped for its first demonstration flight (DM-1), which is currently scheduled to take place as early as the end of January 2019. 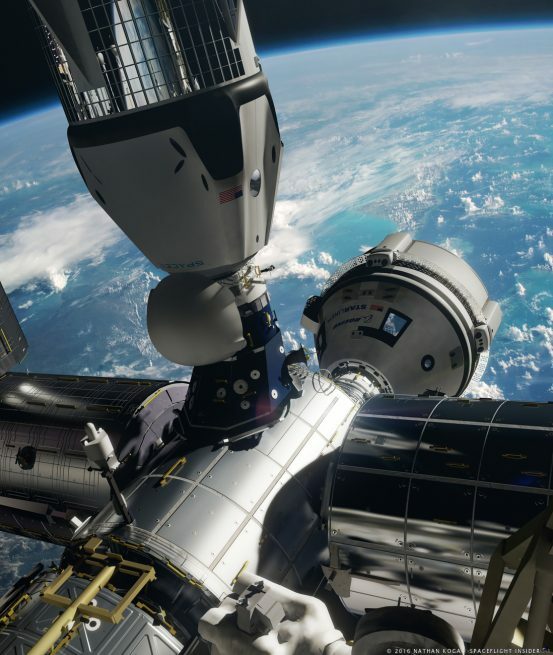 Crew Dragon’s role will be almost identical to that of Starliner’s — delivering astronauts to the International Space Station. Crew Dragon will utilize Falcon 9 Block 5 for its ride into orbit. 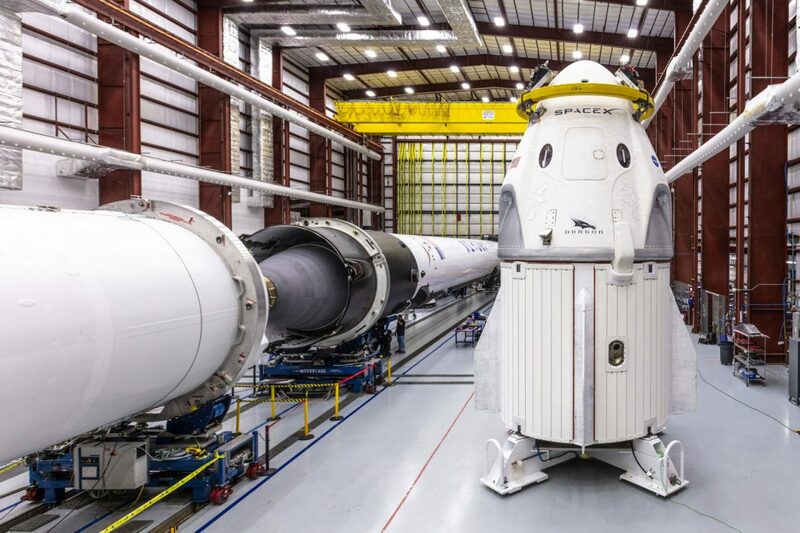 On Dec. 18, the company’s Instagram page showed a picture of the Crew Dragon spacecraft and Falcon 9 rocket in the hangar at LC-39A, awaiting final assembly and testing for DM-1. SpaceX is planning an in-flight abort test sometime after the capsule’s first uncrewed test flight. Pending the successful outcome of DM-1, NASA astronauts Robert Behnken and Douglas Hurley are expected to fly aboard Crew Dragon for the first time in June 2019. Depending on scheduling, this could mark the first time Americans launched into space from the Kennedy Space Center since July 2011. By using multiple gravity assists and electric propulsion, a single mission could orbit Pluto and its moons, then continue on to conduct closeup studies of other dwarf planets and small Kuiper Belt Objects, according to a Southwest Research Institute (SwRI) study presented at a workshop of the 50th annual meeting of the American Astronomical Society (AAS) Division for Planetary Sciences (DPS) in Knoxville, TN. 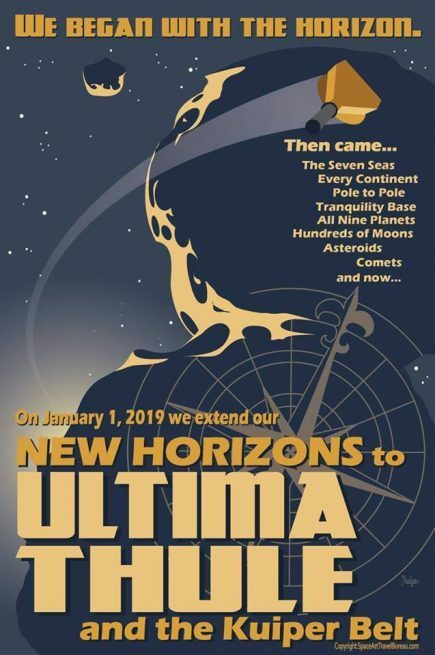 Led by New Horizons principal investigator Alan Stern of SwRI, the study was funded by research grants aimed at exploring a return mission to Pluto, this time with an orbiter. While New Horizons sent back stunning images and a wealth of data about the Pluto system, its quick flyby allowed it time to image only one side of the planet in high resolution. The other side was photographed in low resolution on the spacecraft’s approach. Data returned by the spacecraft raised a host of new questions about the Pluto system and quickly led scientists to consider a return mission with an orbiter. Other scientists who took part in the groundbreaking study, all at SwRI include spaceflight engineer Mark Tapley, planetary scientist Amanda Zangari, project manager John Scherrer, and software lead Tiffany Finley. A key provision of the new proposal is using gravity assists as a fuel-saving measure. New Horizons used one gravity assist from Jupiter to shorten its journey to Pluto. Similarly, an orbiter could use gravity assists from Pluto’s large moon Charon to change its orientation, allowing it to study different parts of Pluto’s surface, its atmosphere, each of its four small moons, and interactions between the system and the solar wind. Once it arrives at Pluto, the spacecraft could enter orbit using electric propulsion, the same technology that powered NASA’s Dawn mission to Vesta and Ceres. These methods would save fuel, enabling the orbiter to study the Pluto system for several years. After accomplishing its science objectives, the orbiter could escape the Pluto system entirely via a Charon gravity assist and head further out into the Kuiper Belt without using fuel, once again relying on electric propulsion. According to Tapley, this technology could enable the spacecraft to enter orbit around a second, more distant dwarf planet after Pluto. “This is groundbreaking. 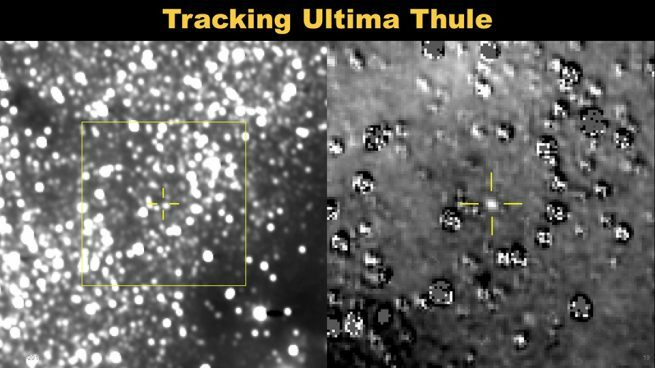 Previously, NASA and the planetary science community thought the next step in Kuiper Belt exploration would be to choose between ‘going deep’ in the study of Pluto and its moons or ‘going broad’ by examining smaller Kuiper Belt Objects and another dwarf planet for comparison to Pluto. The planetary science community debated which was the right next step. Our studies show you can do both in a single mission: it’s a game changer,” Stern emphasized. In a separate but related study, Zangari researched potential missions to the 45 largest known Kuiper Belt Objects, including many dwarf planets, that could be done between 2025 and 2040 via gravity assists from one or more of the solar system’s gas giant planets. 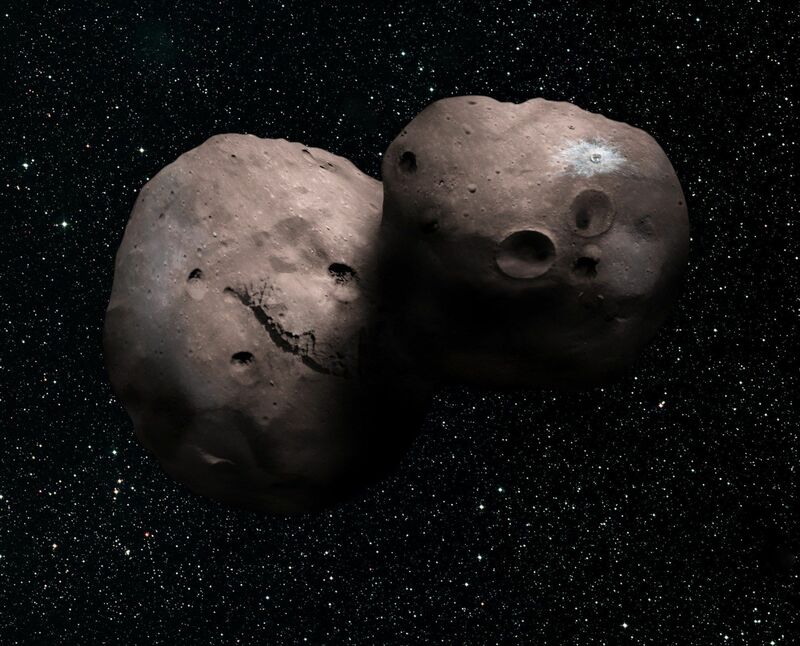 Over the next several months, the SwRI team plan to explore the ideal spacecraft for a combined Pluto orbiter-Kuiper Belt exploration mission and expect to regularly publish their findings. “Who would have thought that a single mission using already available electric propulsion engines could do all this? 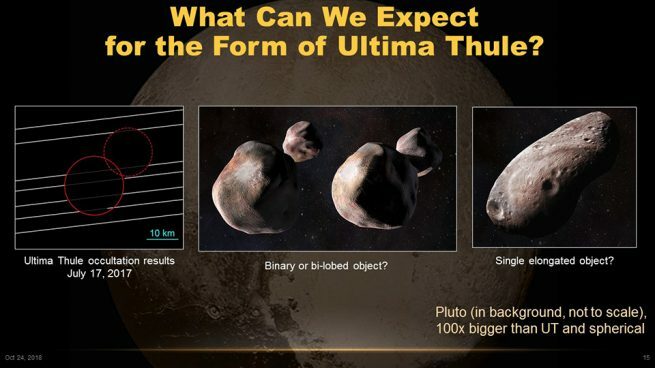 Now that our team has shown that the planetary science community doesn’t have to choose between a Pluto orbiter or flybys of other bodies in the Kuiper Belt but can have both, I call this combined mission the ‘gold standard’ for future Pluto and Kuiper Belt exploration,” Stern said. On Friday, Nov. 16 NASA will mark the arrival of the European Service Module to Kennedy Space Center. The agency plans to honor this historic event at 9 a.m. EST (12:00 GMT) with NASA Administrator Jim Bridenstine, European Space Agency (ESA) Director General Jan Wörner and other officials slated to make remarks. Both Bridenstine and Wörner expected to speak at the event. 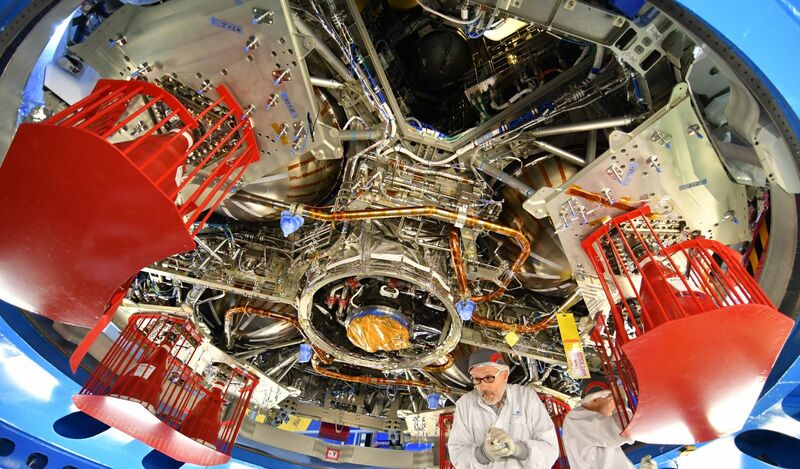 The European Service Module (ESM) is the first major component of a NASA vehicle ever constructed outside of the U.S. The 34,085 lbs (15,461 kg) ESM is designed to provide air, water, thermal control and propulsion to the Exploration Mission 1 (EM-1) crew that will fly on Orion. For comparison, the Apollo Service Module weighed in at about 54,057 lbs (24,520 kg). The ESM is constructed from more than 20,000 parts that are precision fit into the 12 foot (4 meter) long unpressurized component. The main body of the service module is 6 feet (2 meters) high and contains the fuel tanks as well as oxygen, nitrogen and water for the crew. Additionally, the ESM houses vital heat exchangers designed to moderate the climate inside the crew capsule. The remaining length consists of the Orbital Maneuvering System (OMS) Engine. The OMS is an AJ10-190 engine that was originally built for NASA’s Space Shuttle Orbital Maneuvering System. This engine, which is housed inside the spacecraft adapter during launch, provides an estimated 5,778 pounds of thrust. The Service module is derived from ESA’s Automated Transfer Vehicle which launched supplies to the International Space Station. A total of five ATVs were built and launched between March of 2008 and July of 2014. The knowledge gained from producing those vehicles helped influence the design of the ESM. The ESM provides power to the Orion systems using 4 solar “wings.” Each wing consists of 3 panel blocks that are 6 feet (2 meters) square. These wings contain more than 15,000 solar cells that produce enough electricity to power a three bedroom house. When fully extended, the solar wings bring the ESM to a width of about 62 feet (19 meters). The ESM measures 13.5 feet (4.1 meters) across before the wings are unfurled. Over 11 countries in the European Union are responsible for building the components used on the ESM. The list includes Austria, Belgium, Denmark, France, Germany, Italy, Spain, Sweden, Switzerland, The Netherlands, and the United Kingdom. Once the ESM has been inspected, it will be integrated with the Orion spacecraft and the rest of the Space Launch System in preparation for EM-1. The EM-1 flight is designed to send humans further into space than they have ever traveled before with the spacecraft soaring 37,000 miles (59,545 kilometers) above the surface of the Moon. Crew module simulator for AA-2 test at JSC, April 26. The blue tape covers pressure sensors installed for the test. Credit: Philip Sloss for NSF/L2. The booster will take the vehicle up to a carefully chosen abort condition, where the LAS will fire to pull the top of the stack away. The LAS will then flip the crew module simulator around so it is in the right attitude for a real spacecraft to deploy parachutes for a soft landing before separating from the simulator. The simulator is not equipped with parachutes, but it will continue collecting and transmitting data until ocean impact less than three minutes after liftoff. 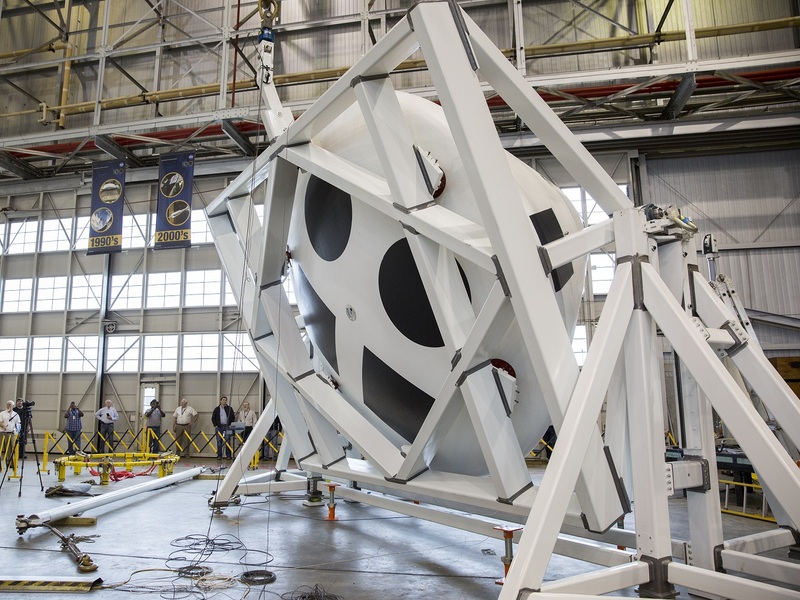 The structure of the crew module simulator was constructed at NASA’s Langley Research Center in Virginia before being transported to JSC in March. A little less than two months after arriving in Houston, JSC held a media day on April 26 to talk about work there to get ready for the test next year. The AA-2 team at JSC is adding only the required test equipment inside and outside the simulator to command the dynamic parts of the test, while simultaneously collecting all of the desired test data and transmitting and recording it. To save money it was decided to use a crew module simulator for this test rather than launch a more flight-like crew module, such as the one that flew on Exploration Flight Test-1 (EFT-1). The LAS itself, which is fully active and fully exercised in the test, is a production unit. “The separation mechanisms, all of that is production [equipment],” Devolites also noted. “The LAS has the computers to control the abort motor and the attitude control motor firings, but we send the commands, and so we actually send the steering commands to the LAS from our vehicle,” she noted. 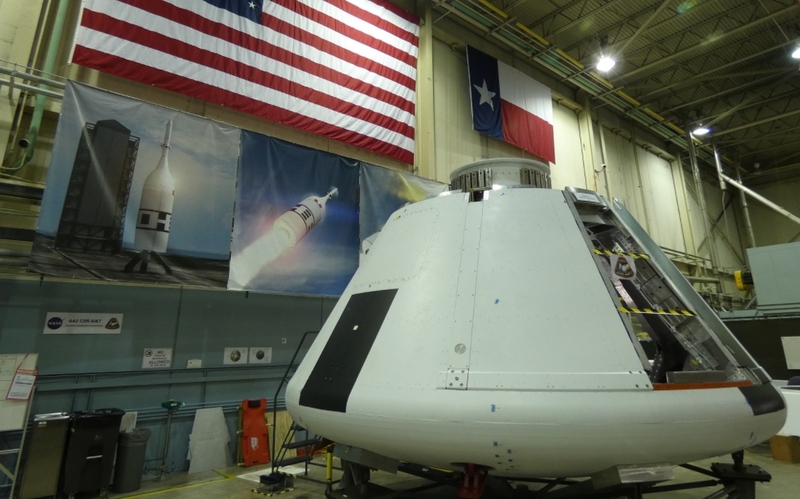 Lockheed Martin is the prime contractor for Orion. After the instrumentation and avionics are installed and tested, Devolites said they will measure the mass properties of the simulator, such as weight and center of gravity (cg), again. “It’s our X-cg fixture,” she noted. “We…put the vehicle on it [and] rotate it over 90 degrees to get the X-cg, it’s going to be very exciting.” The simulator will mimic the production Orion’s mass and center of gravity. While the crew module simulator is at Plum Brook, Devolites noted that the JSC team will receive the separation ring from Langley and outfit that for the test before the crew module simulator returns to Houston to be mated to the ring. “So we’ll do that here, integrate them together, and ship it all to the Cape, hopefully by December,” she said. The separation ring sits between the crew module and booster to quickly disconnect them when the abort is initiated. “We just keep doing incremental, integrated tests up until launch,” she added. The test is scheduled for April, 2019. The AA-2 test is the second and last planned abort test for Orion. The first test was Pad Abort-1 (PA-1) in 2010, which tested an early version of the LAS in an abort starting at rest on the ground. At the time, Orion was still a part of a Constellation program that was being shut down ahead of proposed cancellation; the plans in Constellation included a longer test series. After the Orion program was rescoped following its cancellation along with all of Constellation, the AA-2 test was the only in-flight “ascent abort” test brought forward and the program had to pick a single abort condition to test. 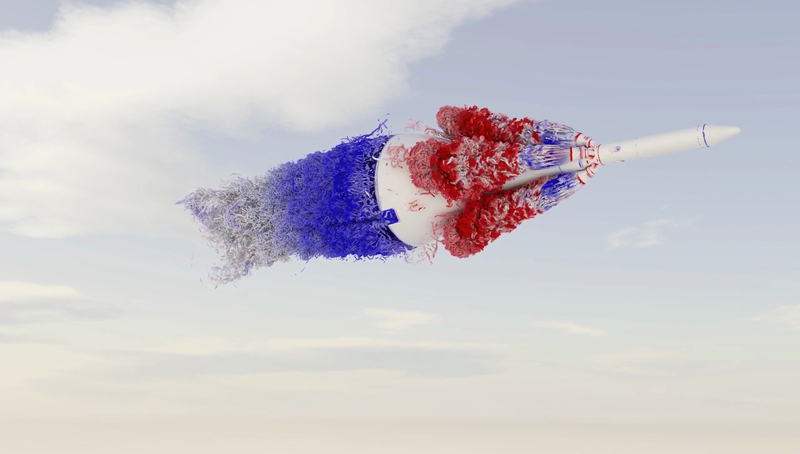 Image from a video of an Orion abort simulation produced by the NASA Advanced Supercomputing (NAS) Division at Ames Research Center. Colored plumes indicate high pressure (red) and low pressure (blue). Credit: NASA/Ames/Timothy Sandstrom. Kirasich noted that the abort condition for this test will stress the ability of the LAS to maintain control of the aborting vehicle more than the ability of the LAS to get away from the booster. “The harder part is to control, because the aerodynamics are pushing you all over the place under those circumstances,” he explained. The data collected in the test will help to validate existing computer models, which will be used to simulate test cases throughout an envelope of possible abort conditions. The test will launch from Launch Complex 46 (LC-46) at the Cape Canaveral Air Force Station (CCAFS) in Florida. An Orbital ATK SR 118 rocket motor is the booster for the test. Its original purpose was as the first stage of the Peacekeeper Inter-Continental Ballistic Missile (ICBM). The Peacekeeper program was deactivated in 2002 and today the motors in the inventory are used for commercial purposes such as space launches. The abort will be triggered when the vehicle is traveling at approximately Mach 1.3 at an altitude of around 31,000 feet. After liftoff, the booster takes the vehicle up to the abort condition and then signals the crew module. The LAS has three different motors that fire at different points in the test: the abort motor and the attitude control motor (ACM) are built by Orbital ATK and would only be used in an abort case, and the jettison motor. Aerojet Rocketdyne makes the jettison motor, which is used on every mission to separate the LAS from Orion. The Orion crew module and the LAS elements make up the launch abort vehicle (LAV) that separates from the test booster in flight. The three motors make up the launch abort tower; other elements of the LAS include a fairing assembly that covers the crew module and a Motor Adaptor Truss Assembly (MATA) that structurally connects the LAS with the CM. 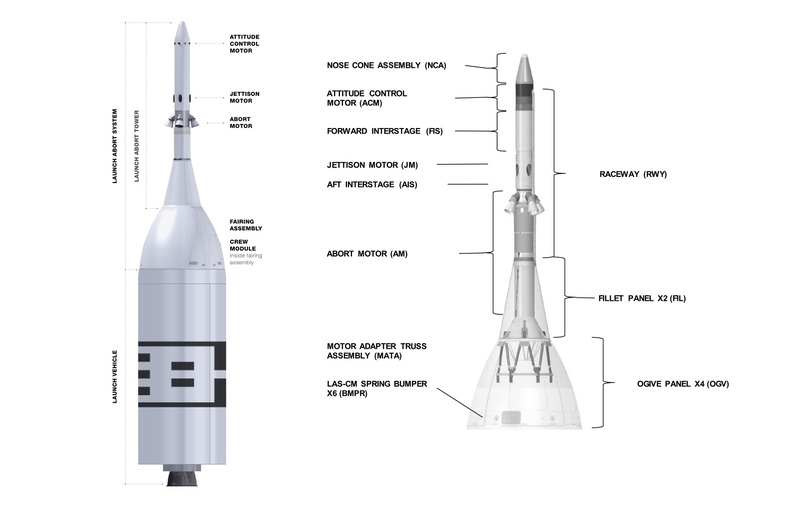 When the abort is initiated, the abort motor instantly generates about 400,000 pounds of thrust at ignition, putting loads on the abort vehicle of twelve to thirteen g’s to get away from the booster, while the ACM also fires to steer the vehicle away and put it in a good attitude. The abort motor fires for about five seconds with the thrust tailing off quickly while the ACM maintains control of the vehicle. The ACM then reorients the vehicle for separation events and for the crew module parachute deployment sequence. The LAS is then separated from the crew module with the jettison motor. The LAS can be used for aborts while the spacecraft is still on the pad and during launch up to altitudes of 300,000 feet. During a nominal SLS crew launch, the jettison motor will fire to separate the LAS from the CM and the rest of the launch vehicle about three and a half minutes after liftoff. For redundancy, the crew module is also recording all the data on-board. “We think we’ll have comm all the way down and get the telemetry, but just in case we’ve got the backup data recorders,” she added. 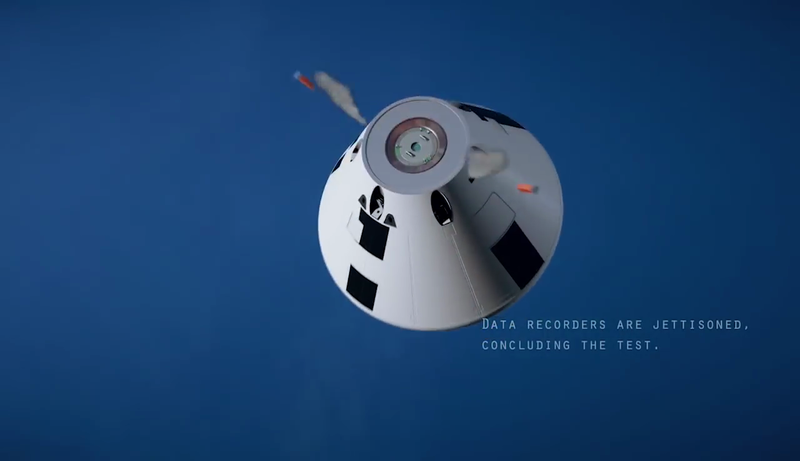 The crew module will impact the water without being slowed down and is expected to sink, so the AA-2 team is using another off-the-shelf system in order to recover the recorders. Image from NASA animation of the AA-2 test. Credit: NASA. There are twelve recorders grouped in two sets of six located at the top of the crew module simulator on opposite sides under the simulated forward bay cover. After the jettison motor fires to pull the LAS away from the crew module, the simulator will free fall to the water. From liftoff to water impact, the test is expected to last less than three minutes. Two astrophysical missions, NICER and LISA, could soon change humanity’s understanding of the universe. Scientists hope both instruments will help answer fundamental questions about the universe, testing many aspects of Einstein’s theory of general relativity. NASA’s Neutron star Interior Composition Explorer (NICER) is already in space. It was launched to the International Space Station (ISS) on June 3, 2017, and is mounted on one of the outpost’s external platforms. The instrument studies the densest observable objects in the universe. ESA’s Laser Interferometer Space Antenna (LISA), planned to be launched in 2034, will detect and observe gravitational waves emitted during the most powerful events in the universe. It will focus on finding gravitational radiation from astronomical sources, testing the fundamental theories of gravitation. Nicolas Yunes, a Montana State University (MSU) gravitational physicist, believes NICER and LISA will play a key role in improving knowledge about the universe. Yunes is a founding member of the MSU eXtreme Gravity Institute, known as XGI, and an associate professor in the department of physics in MSU’s College of Letters and Science. He leads the scientific project known as Exploring Extreme Gravity: Neutron Stars, Black Holes and Gravitational Waves. Recently, this project received a $750,000 grant from NASA’s Established Program to Stimulate Competitive Research, or EPSCoR, to continue the works aiming to answer fundamental questions about the universe. Backed by the funding, Yunes and his team will be able to focus on improving and developing tools to extract as much astrophysics information as possible from X-ray data obtained with NICER. They will also work to create a framework to test Einstein’s theory of general relativity using X-ray data from the space-based instrument, as well as gravitational wave data gathered by LISA. Moreover, this grant will allow him to grow his research group within the XGI. 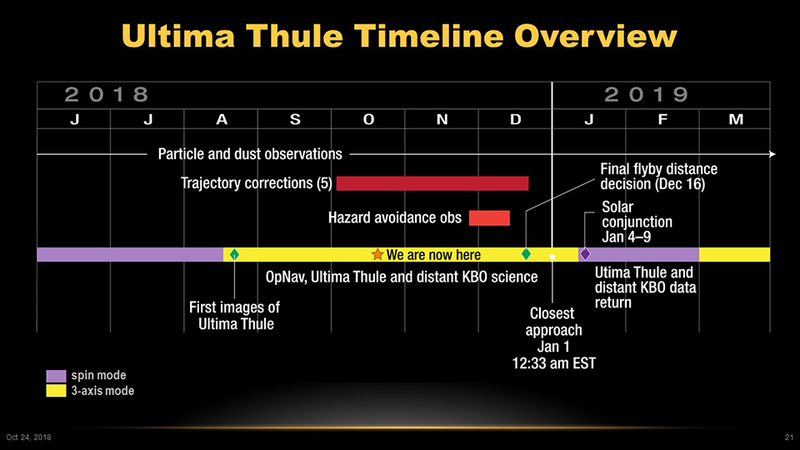 Yunes said NASA funding will allow his team to develop new tools and methods to extract the most theoretical physics from future observations with NICER and LISA. This information will allow them to test many aspects of Einstein’s theory of general relativity. For instance, NICER will detect the X-rays emitted by hot spots on the surface of neutron stars. The X-ray pulse profile detected will depend on the properties of the star, such as its mass, radius and moment of inertia. By measuring these quantities and modeling the pulse profile, Yunes’ team expects to be able to test Einstein’s general theory of relativity at these extremes. When it comes to LISA, this instrument could allow the scientists to fully understand the gravitational wave universe, since ground-based detectors cannot operate at the low frequencies that LISA would operate at. The most powerful sources of gravitational waves mostly emit their radiation at very low frequencies, below 10 millihertz, or less than one oscillation every 100 seconds.